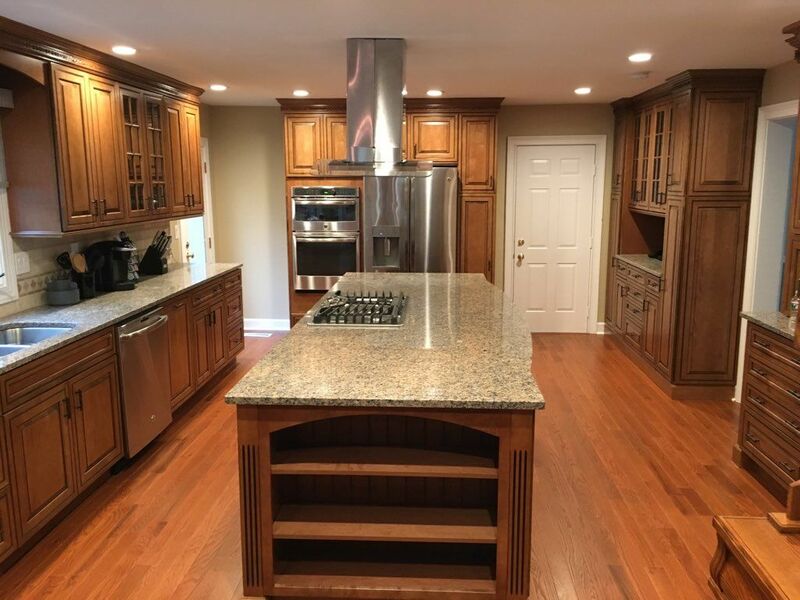 For homeowners in New Jersey and Bucks and Montgomery Counties in eastern Pennsylvania, we provide kitchen remodeling services for those on a budget, as well as custom kitchen renovations for homeowners considering a more distinctive kitchen. For only $9,999, our design-build team can provide you with a completely remodeled kitchen. Our basic kitchen remodeling package includes an initial in-home consultation, measurements, design, and installation services. We will remove your old cabinets, countertops, and sink, and install new cabinets, granite countertops, a stainless steel sink, and faucet. We also re-install appliances in their original location. We can supply and install flooring of your choice, provide plumbing services, and relocate appliances as part of your project at an additional cost. We provide options and upgrades to customize your kitchen renovation project. Our experienced team of professional designers and installers can turn this highly-utilized area of your home into the ultimate entertainment experience. If you’re in the planning stage of your kitchen renovation project, get ideas from our portfolio of completed kitchen remodeling projects.